We told you about Samsung dropping the source for the Sidekick 4G this morning, and now it's LG's turn to release some code. The lucky winner is... the G2x. That's right, this awesome new beast-of-a-phone has already received ClockwordMod Recovery and now it's about to get even better - as soon as devs get ahold of the source and start cooking up some homebrew Android goodness (CyanogenMod, anyone?). It's hard to believe they've done in a week what HTC thinks could take 90-120 days of hard work and intensive decision-making! 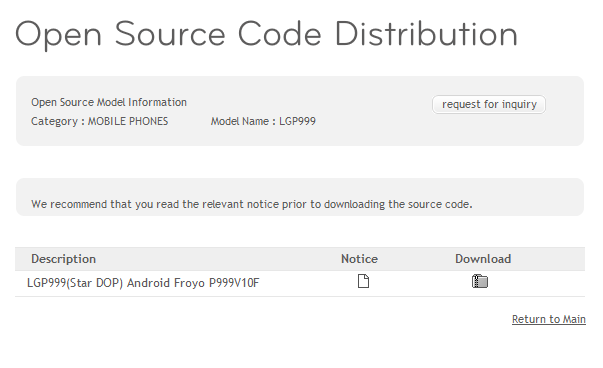 You can get your hands on the download by going to LG's Open Source Code Distribution Center and searching for "LGP999". Oh, and more thing - did I mention that you can get this phone for $50 right now? [New Game] Death Worm For Android. Need I Say More?